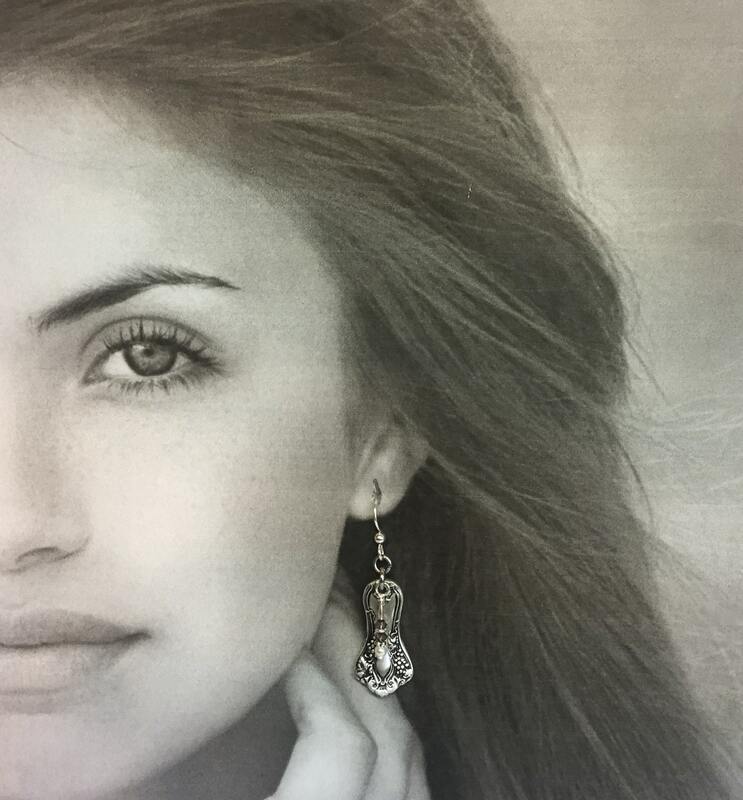 These highly detailed spoon earrings were created from 2 antique demitasse spoons. They are in the popular and collectable "Vintage Grapes" pattern from 1904. These smaller demitasse spoons are harder to find, but I found a group of them new, still in their plastic sheaths. These petite spoon earrings measure just over 2" in length; including the ear wire. You also won't have the weight issues like spoon earrings made with teaspoons. 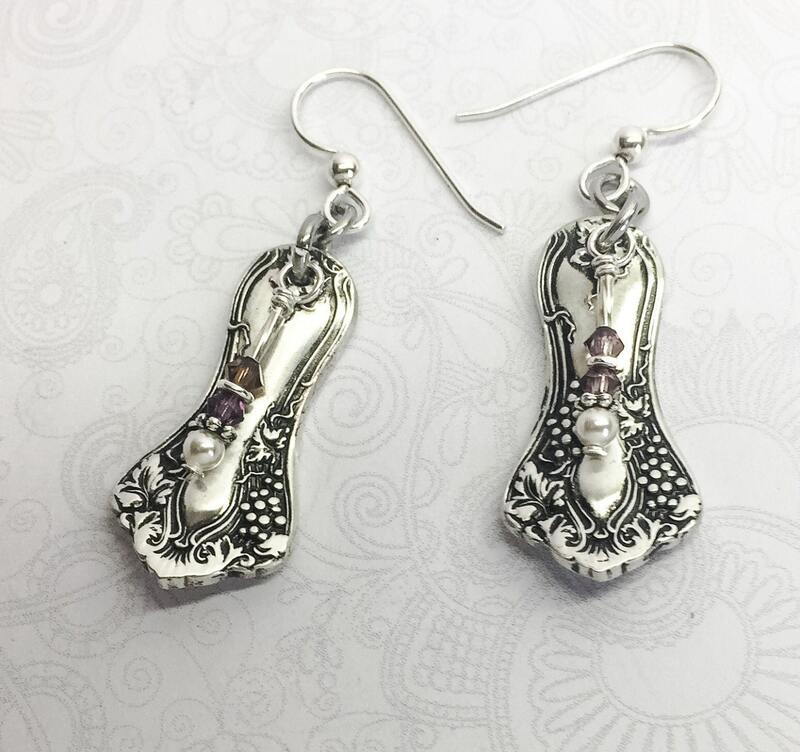 They're adorned with tiny amethyst Swarovski crystals & tiny white pearls. They're suspended from sterling silver ear wires and include clear rubber earring backs so you won't have to worry about losing them. If you would prefer different crystals, I can switch them out for you. 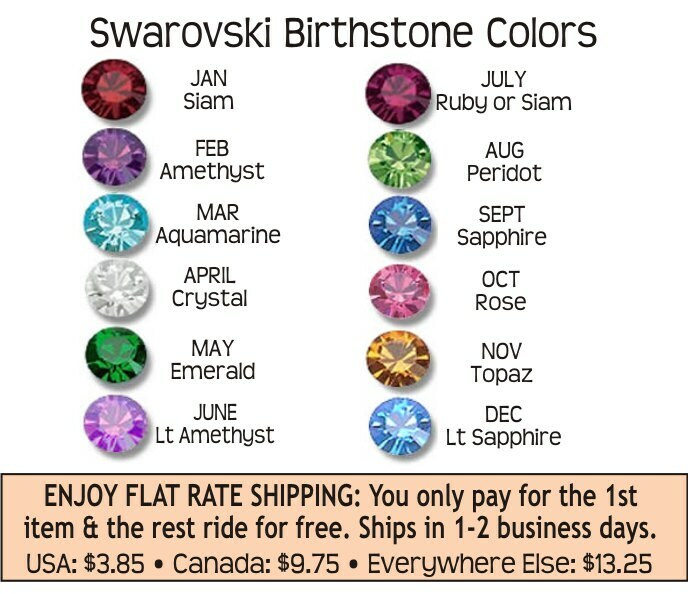 Just choose your favorite color from the chart above and leave me a note in the 'message to seller' box at checkout. You can even opt to have none at all. Demitasse spoons are harder to find and prices are higher - especially in a popular pattern like 'Vintage Grapes'. So if you really like these earrings, don't let them get away. 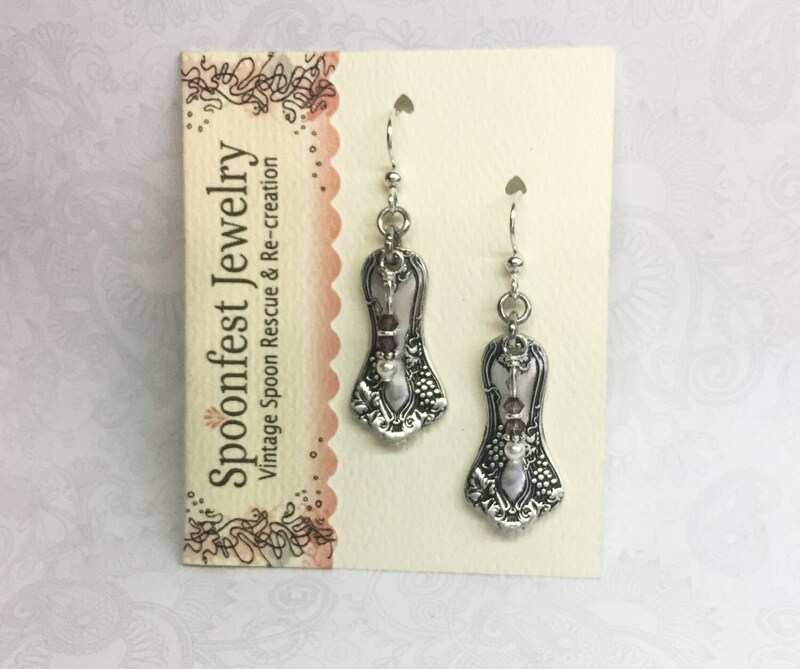 Your spoon earrings will arrive festively packaged; complete with a Spoonfest Jewelry story card and name/age of the spoons. Have fallen in love with spoon jewelry. This is my fifth piece. Spoonfest is by far the best quality I have seen. I love this, very beautiful. Absolutely beautiful. 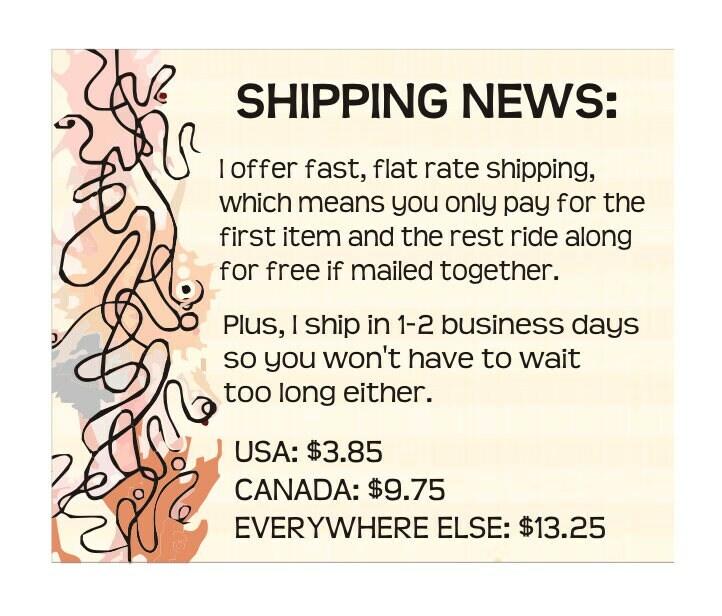 This is my favorite seller. 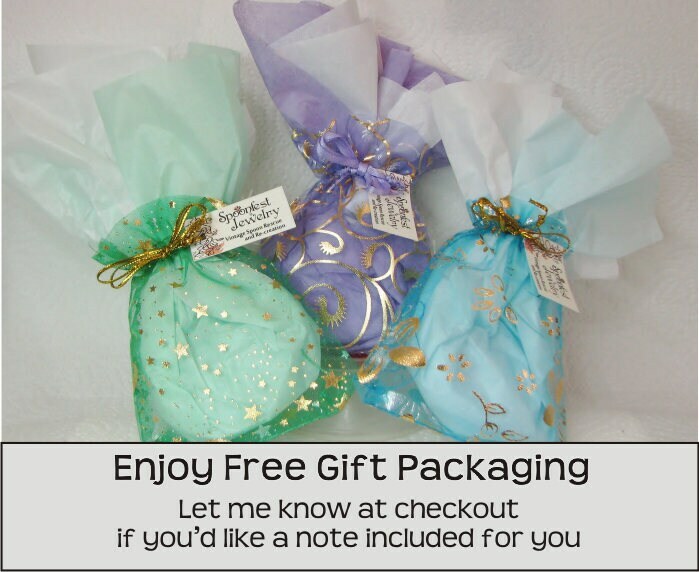 Products arrive super fast and are so beautifully packaged that they are ready for immediate gift-giving. Top quality. These are even more beautiful than the pictures show, and they inspired me to make a second purchase. They're dainty and delicate...they're really just perfect! They're going to make a great gift!